Don't get caught without a guitar pick again! This is one of the most beautiful guitar picks I've ever seen! I love this gorgeous yellow leopard print pick key chain, perfect for the leopard lover! I used a nice silver toned metal bail to really set off this iron swivel clip key chain. I hope you like it as much as I do! 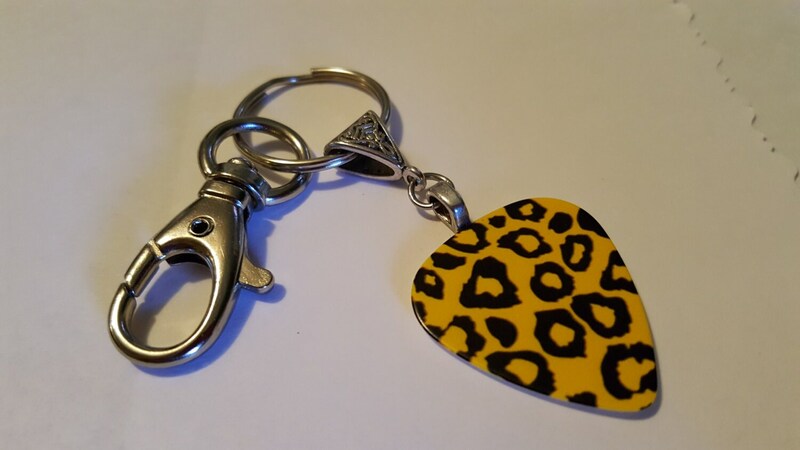 This makes a great gift for the leopard lover in your life! Please Note: Back of guitar pick is plain white. Coloration may vary slightly.from monitor to monitor.